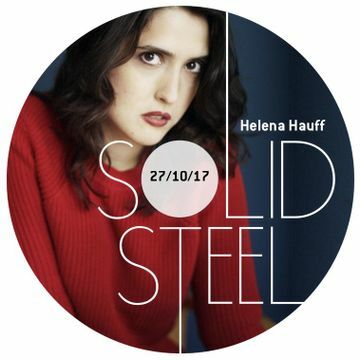 Solid Steel (27th October) In Hour 1 we welcome Helena Hauff, who releases her new EP "Have You Been There, Have You Seen It" today via Ninja Tune. Describing the mix, she told us "It’s a small selection of feel good electronic sounds from the heart of gentrified Hamburg” which means music from the likes of I-F, Hieroglyphica and Adapta. Highly respected for her energy, skill and unique selection, her profile has rocketed in the last two years as she has taken on a BBC Radio 1 Residency, delivered her debut BBC Radio 1 Essential Mix, played a legendary B2B set with Ben UFO at Sonar 2017, graced the covers of Crack Magazine, DJ Mag and earned herself the #12 spot in Mixmag’s “Top 20 DJs of 2016”.